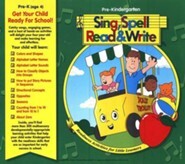 Sing, Spell, Read & Write Kindergarten Readers 1-6, 2nd Ed. 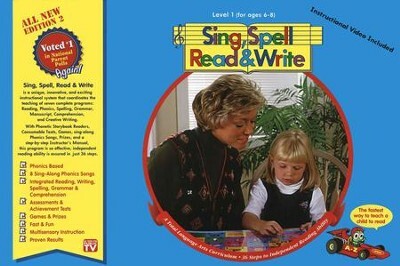 A complete incentive based reading program. 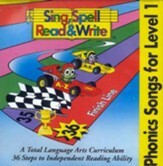 Includes one music CD, student workbooks, 17 graduated phonetic readers with a combined total of 960 pages, raceway chart and car, games, phonics place mat with dry erase surface, dry erase marker and eraser, all packaged in a sturdy box. Add a 30 minute instruction video for the parents and complete teacher instructions to make a truly user friendly system. 2nd edition. 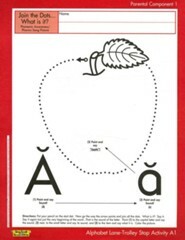 Grade level 1, from International Learning Systems. Please Note: While audiocassette tapes and "Treasure Chest Prizes" are shown as included on the back of the box, please note that Pearson has decided to no longer include these in this kit. It does not include a treasure box or song cassettes. I'm the author/artist and I want to review Sing, Spell, Read & Write, Level 1 (Edition 2).